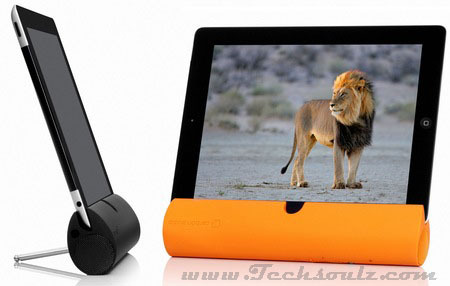 This colourful rubbery speaker bar slips over one edge of your iPad and connects via Bluetooth, delivering powerful audio whether you’re watching a movie or chilling with some tunes. 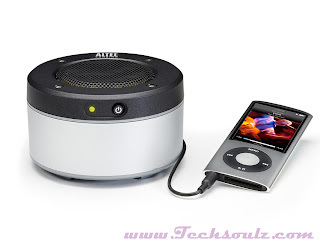 setup is simple, and you will be impressed by the volume and audio quality. A pull-out metallic bar can be screwed in place to prop your tablet up for watching video, although you then can’t charge the Zooka as the USB port is on the bottom. Get big bass and room-filling hi-fi with this stainless steel compact speaker. It’s small enough for holidays, but large enough to deliver excellent audio from action movies to hard techno. You can Bluetooth pair it to your smartphone or tablet, while a built-in mic lets you use it like a speakerphone too. Customise this smart speaker by hooking it up to your computer and heading to Jawbone’s MyTalk webpage for apps and more. This Bluetooth speaker may be portable but it’s also bass-friendly. Pair it to your smartphone or hardwire it with the provided audio jack cable, and it’ll create a whole new world of sound from your mobile. The micro USB cable recharges it, with up to eight straight hours of playback on a single charge. Plus, it comes in brilliant red, sky blue or classic black versions. 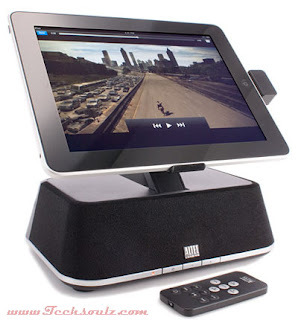 A compact dock for your shiny iPad 1 or 2, the Altec Lansing MP450 pumps out crystal clear audio and charges your tablet at the same. The flexible pivoting arm firmly holds your iPad in either landscape or portrait mode, so you can mess around with apps, watch a movie or simply kick back and chill with some tunes, all without having to clutch your tablet. The MP450 won the CES Innovations Award for Outstanding Design and Engineering last year, and it’s easy to see why. Not only does it look great, the controls are easily accessed and it comes with a remote control if you’re too lazy to get up from the couch. 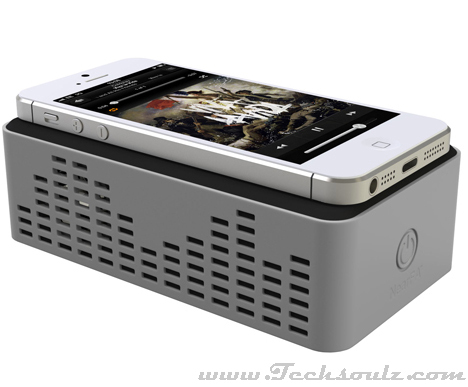 The TouchSpeaker is undoubtedly one of the coolest things for some time. Just start playing music from your phone, pop it on top of the box, and it will start blaring out your chosen track. 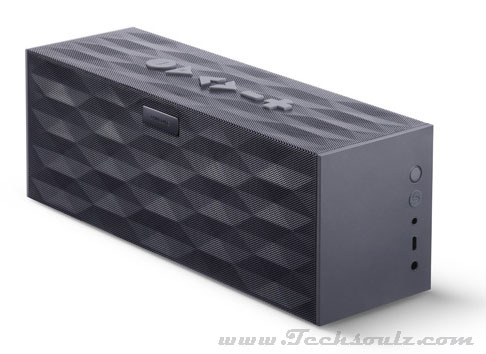 It uses Near Field Audio, meaning there is no need to configure Bluetooth, or plug in any cables, the gadget just picks up the audio waves and amplifies them. The result is both loud and impressively clear and it’s surprisingly compact too – just 38mm deep, with about the same width and length as an iPhone 5. For travel use you’ll need three AA batteries, but if you’re at home, it can also draw power via micro USB. This tiny round speaker is ideal for packing up and carrying around, for those long afternoon sessions in the park, or simply when you want to migrate to the garden for a BBQ. Stick in two AAA batteries (included) and plug into your phone via the 3.5mm cable, and you can regale your friends or family with the Rick Astley discology as you soak up the rays. Considering the size, the Orbit M produces impressively powerful audio. Don’t expect bass-heavy sound or super-crisp note reproduction, but for a bit of background music this is a great and highly affordable option. We had hours of tunes so far and the batteries are still going strong, and it’s very light and compact so will effortlessly slip into a bag or even a pocket at a stretch.